It’s a very sweet start to the year for a Mid Wales honey producer. 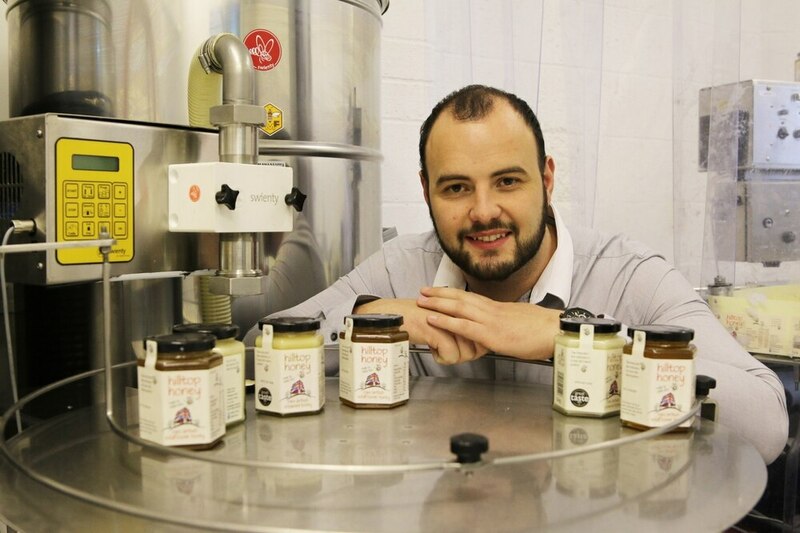 Hilltop Honey, which began when Scott Davies walked from his home into Caersws with five jars of honey to sell, has secured three new product listings with retail giant Sainsbury’s alongside the three already on the shelves. The Lavender Honey, Orange Blossom Honey and Thyme Honey is available in 343 Sainsbury's stores nationwide, adding to the Hilltop Organic Acacia, Organic Multiflower and Cut-comb in Acacia Honey already on the shelves. Mr Davies was a builder, coal merchant and rugby player when, at the age of 21, he injured his back and needed a new career. The beehive in his garden at home proved the answer and he launched his company in 2011. In 2017 the business increased production, moved into expanded premises, made significant investments in automated technology and staff, and has now established itself as one of the UK’s leading premium honey brands. Mr Davies said the three new products in Sainsbury could see him sell 78,000 jars extra a year. He said the new flavours were affected by the flowers that the bees visit on their pollination journey. “As a small but growing, ambitious and determined team, we’re delighted to be gaining profile at such a high level," he said. "We’re supplying thousands of jars of honey every day to major retail UK wide as well as cracking international markets.